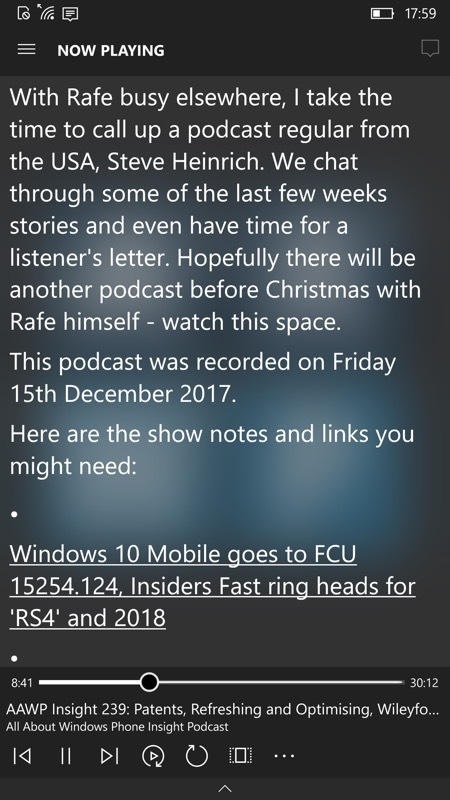 Almost two months ago, I reviewed the remake of OneCast, now called MyPodcasts - very pretty, very slick and also a full UWP app for all Windows 10 form factors. And, in the spirit of keeping you informed, and with the rightly high popularity of podcatchers, here's news of a big new update and what's in it. 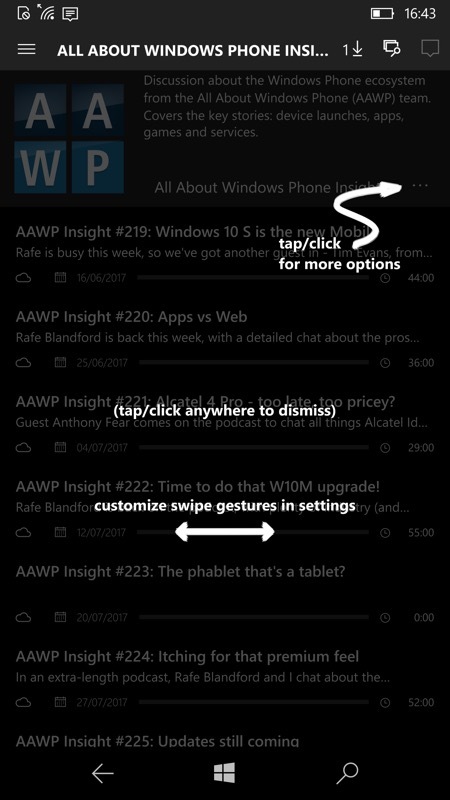 Tutorial annotations for new users and (right) show notes which pop-up on tapping a podcast's artwork. The new regional filter in action, here 'discovering' podcasts from Australia! (right) the new sleep timer and its duration options. 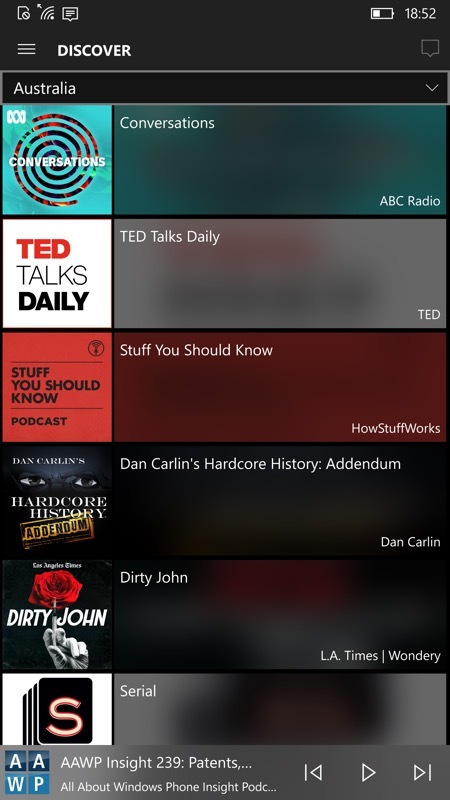 You can grab MyPodcasts UWP here in the Store. PS. You may experience the app crashing when tapping on a podcast. This is a rare bug (though I hit it) and it's to do with issues with the underlying app settings files. 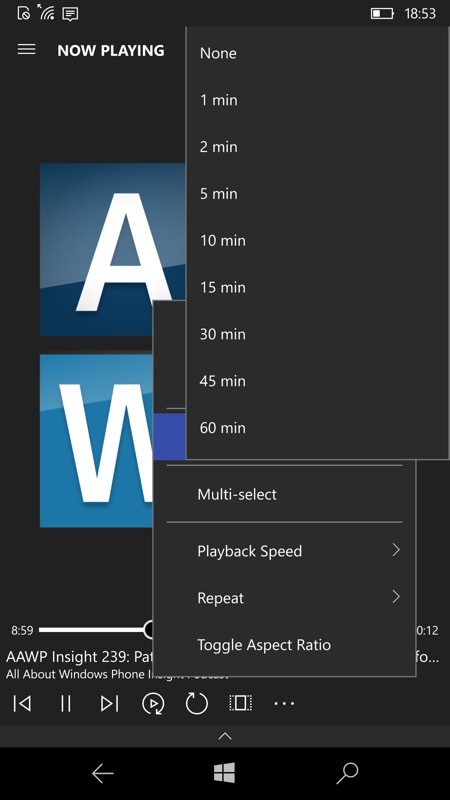 The best approach is to export your podcasts to an OPML file (in Settings), delete the app's data in Windows 10's own Settings/Apps/Advanced etc., and then reimport your data from the OPML file. Data points welcome on whether others hit the issue. Anyway, things are working here now and hopefully will be all well for the future with this fresh start!